Rated as Italy’s number one wine by Liv-Ex, Masseto 2010 has just been released for sale to the Italian and international markets. 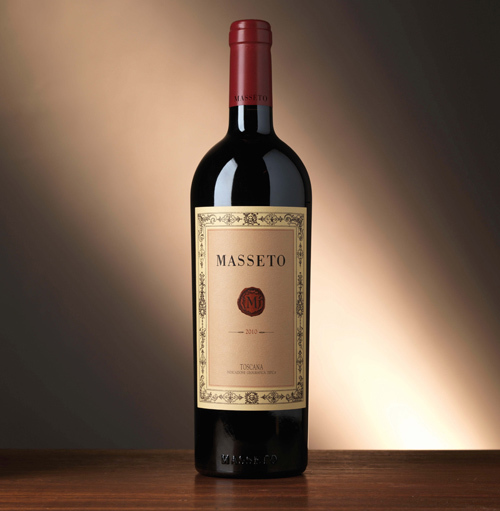 Masseto 2010 is a cru wine and was exclusively produced merlot grown in a Masseto vineyard of just 7 hectares in Italy. Masseto has rightfully become one of the world’s most outstanding wines. Inside the winemaking cellar, each individual vineyard parcel is personally vinified separately by Axel Heinz himself. The Merlot is next exposed to the important process of time. The separate lots of Merlot grapes next mature for 12 months in new barriques. After the blend is assembled, the wine is returned back to a barrel where it is stored for 12 additional months. Once completed, Masseto ages in the bottle for another 12 months. Then after three full years after first harvested, Masseto 2010 is ready for release and to be enjoyed by wine lovers around the world. Masseto is produced in very limited quantities and through a rigorous quality-selection process, the end product ensures the highest-possible quality of wine. Masseto continue to achieve ackowledgements in the wine industry. After only twenty years since its first vintage back in 1986, several of the key awards includes: Wine Spectator awarded Masseto 2001 its highest score, 100/100, and Wine Advocate gave 99/100 to Masseto 2006. Also, Masseto consistently achieves high rankings in Italy’s main wine guides, Gambero Rosso, Espresso, Veronelli, Duemilavini AIS, and Luca Maroni. With the release of their latest wine – Masseto 2010, we expect the string of much deserved awards to continue for Masseto. If you are interested in purchasing a bottle of the new Masseto 2010 cru wine from Italy, please contact The Life of Luxury and one of our product specialists can assist you.